If you have an extra $3.8 million to spare, you don’t need to worry about preventing data theft. That’s the average cost of a data breach in 2015, according to IBM’s 2015 Cost of Data Breach Study. It’s a 23 per cent increase over costs unveiled in the 2013 study. If, on the other hand, you’d like your company to keep its hard-earned cash, you’ll need to put in place policies and procedures to prevent data theft. Because, as the saying goes, there are two kinds of companies: those who’ve suffered a data breach and those who don’t know it yet. With that in mind, we’ve compiled top tips from the experts to help you keep your company’s sensitive information safe from data thieves. 1. Abolish paper, or at least lock it away. 2. Restrict access to your sensitive data. “Not everyone in the company needs access to everything. Does the project manager need pricing information? Does the sales person need operations information? By restricting what data each person has access to, you limit your exposure when an employee decides what they want to steal or when the employee’s account is compromised by an outsider,” says Greg Kelley, EnCE, DFCP, of Vestige Digital Investigations. 3. Find out what you need to protect. “Have an audit or assessment on your data. Everyone company is different. They have different regulations, different types of data, different needs for that data and a different company culture. Hire an outside expert to assess what data you have, how you are protecting it (not how you think you are protecting it) and where that data is going. While you may think it is an unnecessary cost, if you report to clients and potential clients that you have had an outside data assessment, you may find it puts you at an advantage over your competitors,” says Kelley. Need a quick reference? Download the Data Theft Prevention Checklist. 4. Enforce data privacy controls inside and out. Hold third parties and contractors your company engages to the same strict data privacy controls you implement in your own organization. Audit them periodically to ensure compliance with your security standards. 5. Protect all computers and devices. Make it difficult for outsiders to access your company’s and employees’ devices and computers if they are lost or stolen by protecting them with strong passwords and by enabling remote wipe on all devices. 6. Install or enable a firewall. Even small companies with few employees have valuable data that needs to be protected. Ensure you have a firewall in place to keep outsiders from accessing your company network. 7. Protect your wireless network. Use a strong password and use encryption and security to hide your wireless network from outsiders. Don’t let neighbors or passers-by hop onto your network, or even see that it exists. You’re just inviting trouble. 8. Use encryption to protect data. Ensure all sensitive information that is being transferred or emailed is encrypted. Encryption should also be installed on all company laptops, mobile devices and removable media. “No matter how secure is your password, there’s more than one way to get it. Consider using 2FA whenever you can, Google, Yahoo, Twitter and many popular services already have support for 2FA,” says Arias. 11. Restrict movement of information. “Do not permit the transfer of personal information (names, Social Security numbers, Medicare numbers, employee or medical data etc.) to a portable medium, like a laptop or mobile device. This data should be processed in-house, not on an airplane or a commuter train or at home,” says Robert Ellis Smith, Publisher, Privacy Journal. 12. 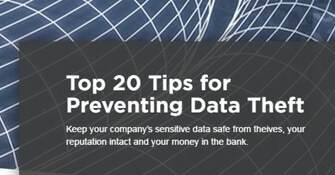 Take extra steps to protect your most sensitive data. 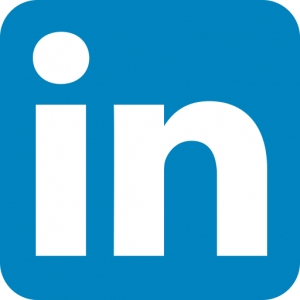 “Truncate Social Security numbers, or remove them from the data base and store them elsewhere apart from the original data file, with a means to link the two later if necessary. Regularly remove sensitive personal data from online databases or “the cloud” and process it off-line,” says Smith. 13. Use anti-virus software and anti-spyware. Update all software on your company’s network whenever updates become available. This includes security software, browsers, and operating systems. Don’t use free security software as sometimes these contain “scareware” that can fool employees into compromising your network. 15. Have a “clean desk” policy. Implement and enforce a policy prohibiting employees from keeping working papers, passwords or any sensitive documents in view while they are away from their desks. Every workstation should have a lockable drawer for employees to secure sensitive information. 16. Guard against social engineering. Teach employees to recognize and report attempts by outsiders to get information. Train them on the various techniques used by fraudsters, such as “phishing” and “smishing” and to never open attachments or download anything from an unknown source. 17. Beware of personal devices. 18. Implement social media policies. 19. Be prepared for mistakes. 20. Be nice to your employees. A disgruntled employee can be the most dangerous vulnerability in your company’s data protection program. Dawn Lomer is the managing editor at i-Sight Software and a Certified Fraud Examiner (CFE). She writes about topics related to workplace investigations, ethics and compliance, data security and e-discovery, and hosts i-Sight webinars.